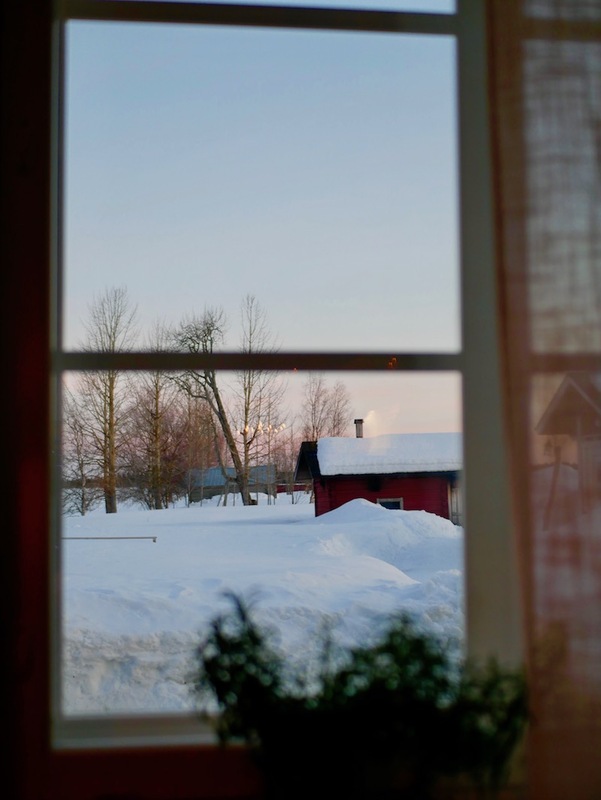 My trip to Finnish Lapland was every magical, snowy fairy tale stereotype you can imagine. It was 5-days of glistening mounds of fluffy white snow, blue skies and sunshine streaming through the forest. I had high hopes for my artic adventure as this was one of the most incredible bucket list trips I’ve ever taken and I’m so pleased it lived up to every expectation. It was magical and I can’t recommend a winter trip to Finland enough. Located 150 km north of the Arctic Circle in Finnish Lapland, Ylläs is a ski resort as well as a winter wonderland! 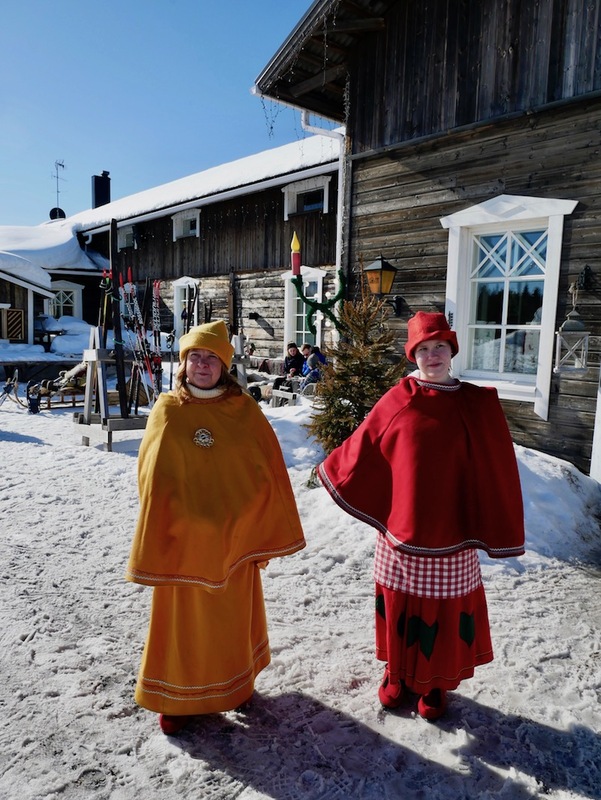 There are only 850 residents in the area, which is made up of two lappish villages; Äkäslompolo village on the northern side of the Ylläs Fell, and Ylläsjärvi village in the south. It might be a remote part of the world, but it’s easy enough to get to. Once you arrive into Helsinki, fly with Norwegian Air or Finnair to Kittilä airport, and then travel by bus to Ylläs. Located on the Ylläsjärvi side of the region, Lapland Hotels Saaga is a hotel and spa set in the most incredible scenery, which changes according to the time of day and year. 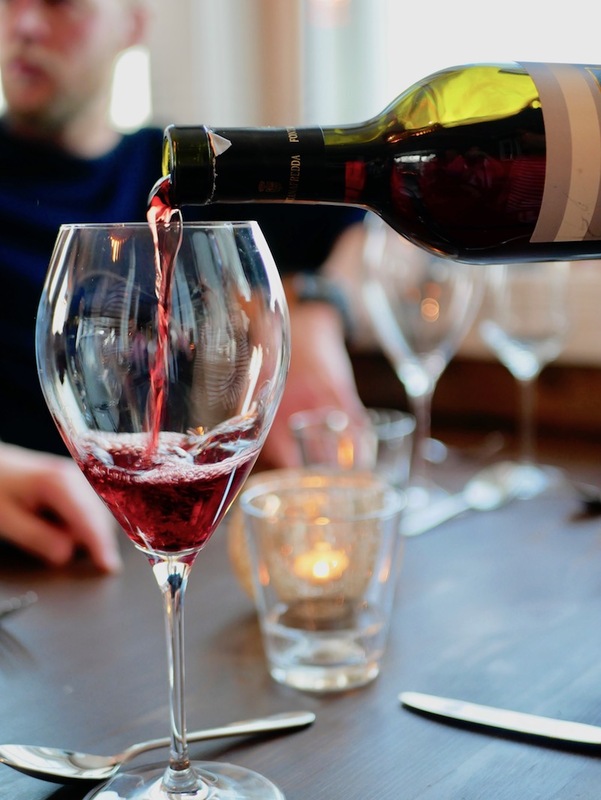 Skiers will love this hotel, as there’s a Gondola-lift that runs from right next to the property up to the fell, and after a day of hitting the slopes you can come back to Lapland Hotel Saaga’s pool, jacuzzi and steam sauna. Describing itself as a magical world of ice and snow, SnowVillage is constructed each year from 20 million kilograms of snow and 350,000 kilograms of ice. The result is a 20,000 square metre winter fairytale that visitors can explore and admire. 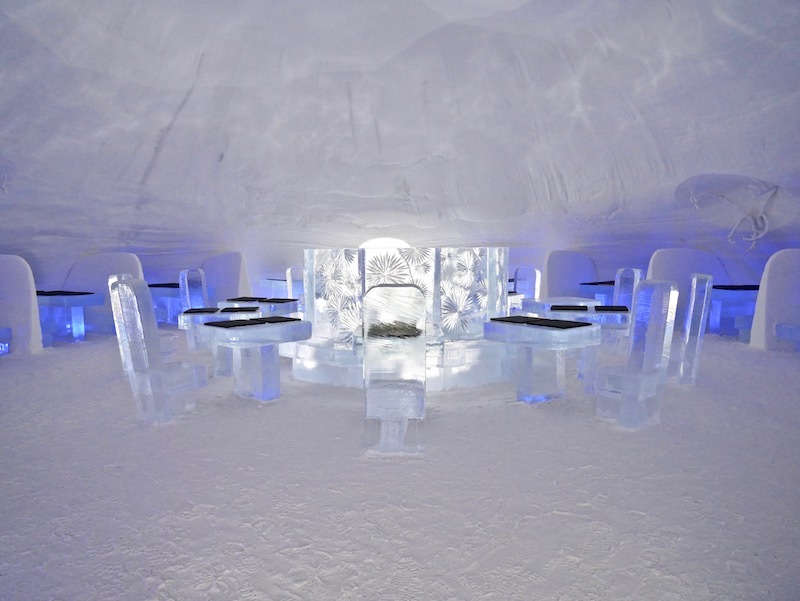 There’s a Snow Hotel, an Ice Restaurant, Ice Bar, Ice Chapel, a slide and ice artwork that follows the annual theme (last year was Game of Thrones). Entry is €17.50 for adults. Spend some time on the slopes of Ylläs, the largest ski resort in Finland. Located right above Äkäslompolo village, the slopes of Ylläs offer incredible views across the other fells of the Pallas-Ylläs National Park. It boasts 63 slopes and 29 lifts, and also has snowpark areas, cross-country tracks, a super-G slope and off-piste areas to explore on skis or a snowboard. I had a private instructor for my first day skiing and she was amazing. I’ve never felt so comfortable skiing and I progressed so quickly in comparison to other trips. It’s also worth noting that I was skiing in Finland in mid-April! There really aren’t many resorts where there’s still so much snow in April. It was coming to the end of the season so by late afternoon I found some areas to be a little slushy but it was still incredible. After a day of skiing, it’s time for some rest and relaxation, Finland style. On the shores of Äkäslompolo Lake is Ylläksen Yöpuu, a stunning arctic getaway complete with quaint cabins and a traditional Finnish sauna. This 15-person sauna can be rented out (it’s €90 for the first hour, and €70 per hour after that) for groups to enjoy the contrasting hot and cold of the sauna followed by ice hole swimming. It’s said to be great for circulation, and it’s certainly an experience you’ll never forget! This was, without a doubt, the highlight of my trip to Finnish Lapland, which is surprising because it’s the part I was actually dreading. It was such a unique experience and is something I’ll remember forever. Dipping into the icy waters of the lake was a terrifying thought, especially after being so hot in the sauna, but it was so exhilarating and made me feel alive. You’re meant to go from the sauna to the cold water and back again three times. The first time is horrific. Honestly, it’s every bit as horrific as you’re imagining. But when you get out you feel so fresh and energised and you’re quickly hot again in the sauna. The second time is marginally better you enjoy the sensation of your heart pounding and your skin tingling. The third time is incredible and the freshness seems to wake up every muscle in your body. It’s like having a triple shot of espresso and all the endorphins after exercising together. 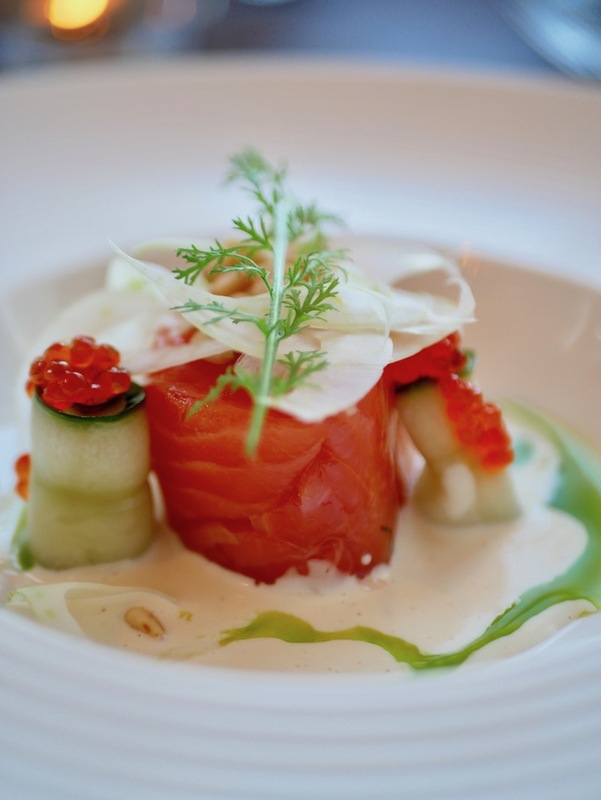 Head back to Äkäslompolo village for dinner at Restaurant Rouhe, which showcases local raw ingredients in its modern and tasty dishes. This was such a beautiful meal, made even better by the exhilaration of the ice hole swimming and feeling starving after a busy day. Spend your morning enjoying more time on the slopes of Ylläs, or try some of the other amazing activities on offer at this resort. There’s snowmobiling, hiking, reindeer encounters, dog sledding, showshoeing, and plenty more to choose from if you’d rather try some more unusual winter adventures. 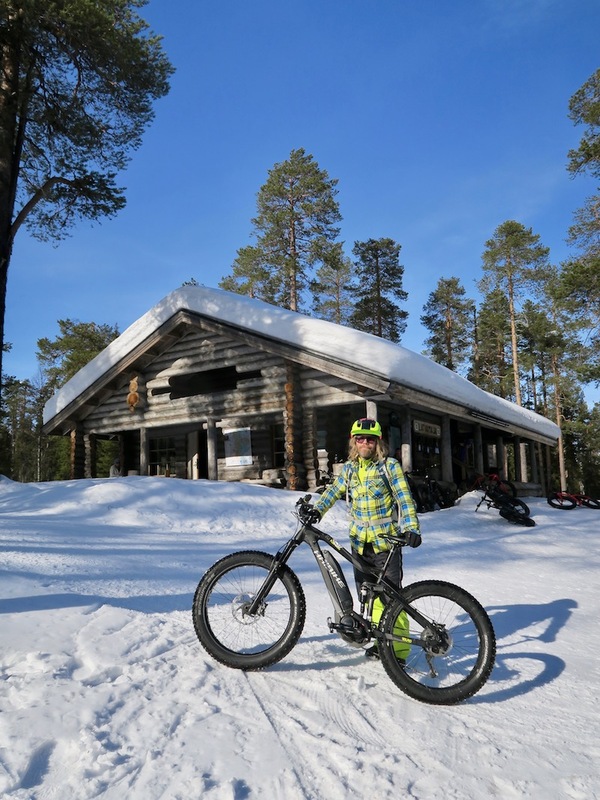 We decided to go for a guided e-fatbike tour around Ylläs. 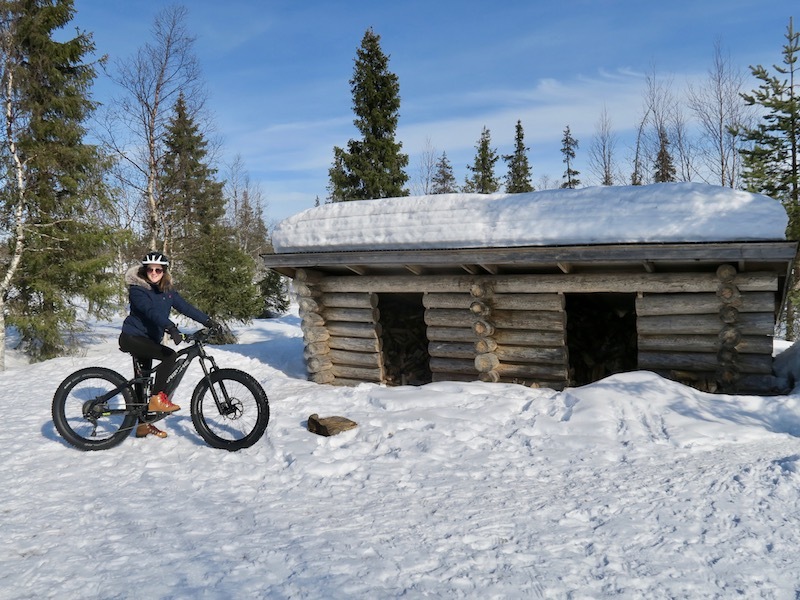 You might not imagine that cycling would be on a winter Finland itinerary, but thanks to Hidden Trails Lapland and a sturdy fatbike, you can explore the region of Ylläs all year long. We cycled through stunning forest land along narrow, snowy paths. 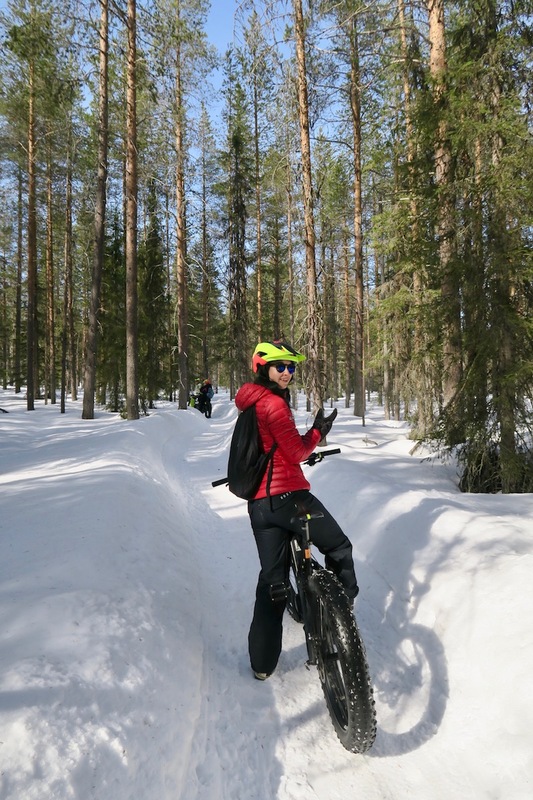 It was difficult because if you wobbled or slipped off the path you’d be in a meter of powdery snow and it really wasn’t easy to get back out, but the e-bikes did most of the hard work and I found that once I relaxed into it I loved it. 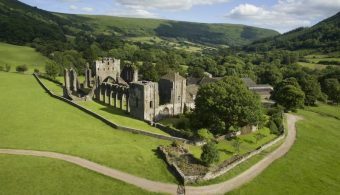 This four hour tour includes a stop along the way at the cosiest cabin for some warm refreshments. 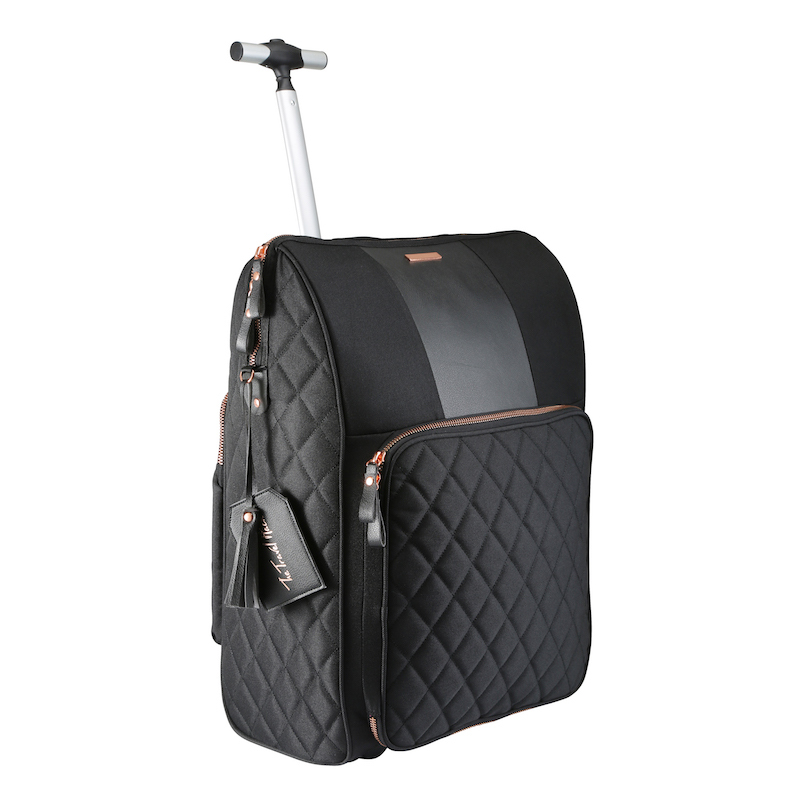 Cost per person is €129. 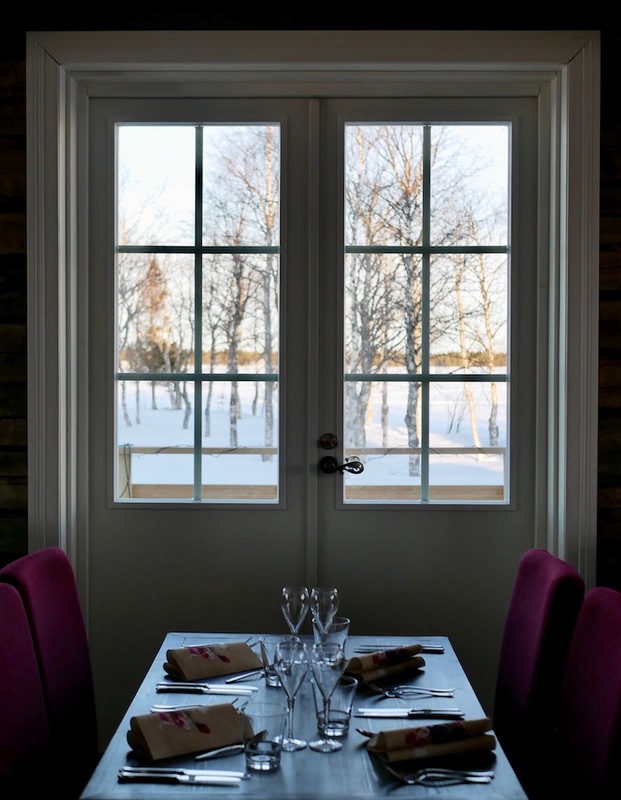 For dinner, make your way to Aurora Estate in Ylläsjärvi, located right on the shore of Ylläsjärvi Lake. If you’re here on the right night, you’ll enjoy your meal with a backdrop of the Northern Lights above the stunning Ylläs fell. 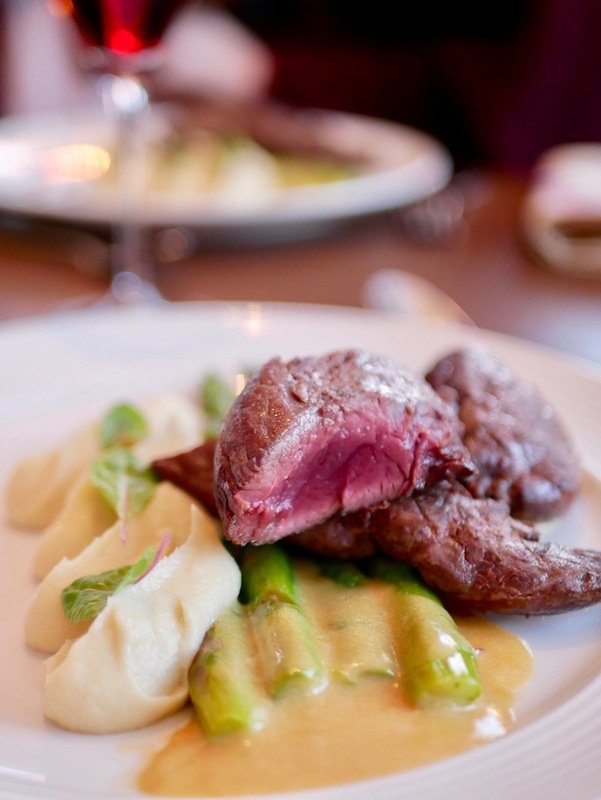 The interior is reminiscent of a traditional Lappish log house, and the menu uses as many local ingredients as possible – including house smoked reindeer! Levi is another major ski resort in Finland, comprising almost 40 kilometres of slopes and 5.8 kilometres of ski routes, accessible via 25 lifts. 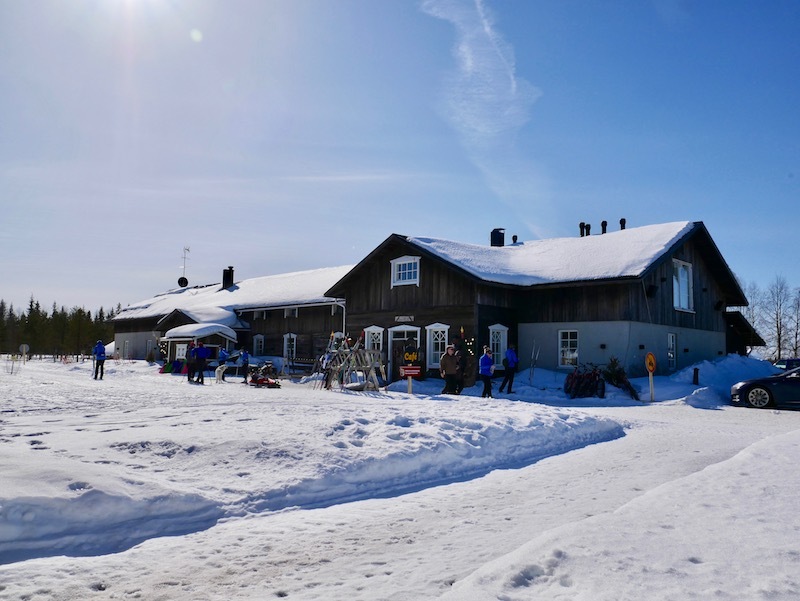 Just like Ylläs, Levi has a range of winter activities to try, including snowmobile, husky and reindeer safaris, hiking, snowshoeing and cross-country skiing, as well as downhill skiing and snowboarding. 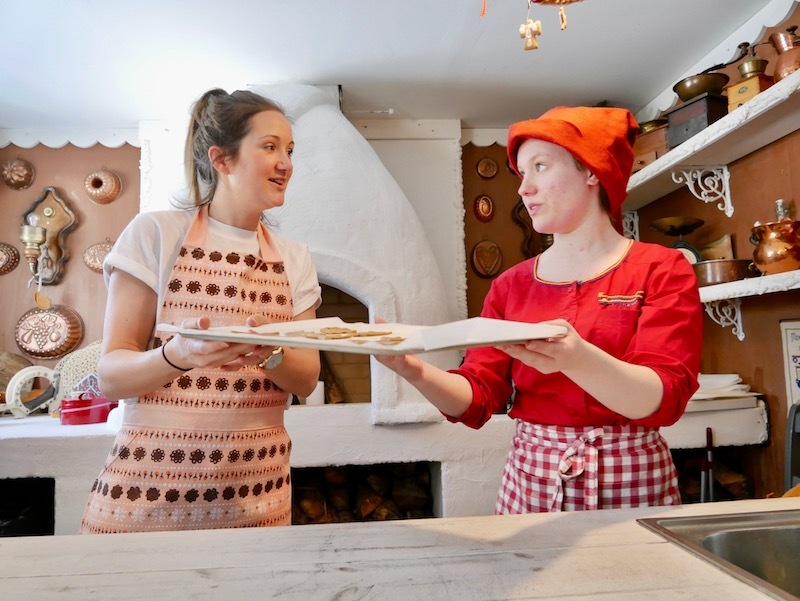 The town of Levi is quaint and compact, offering dining that ranges from fast-food to Lappish culinary delicacies. Spend your day exploring the slopes of Levi, and then head over to the Elves Hideaway for a fun and whimsical experience. 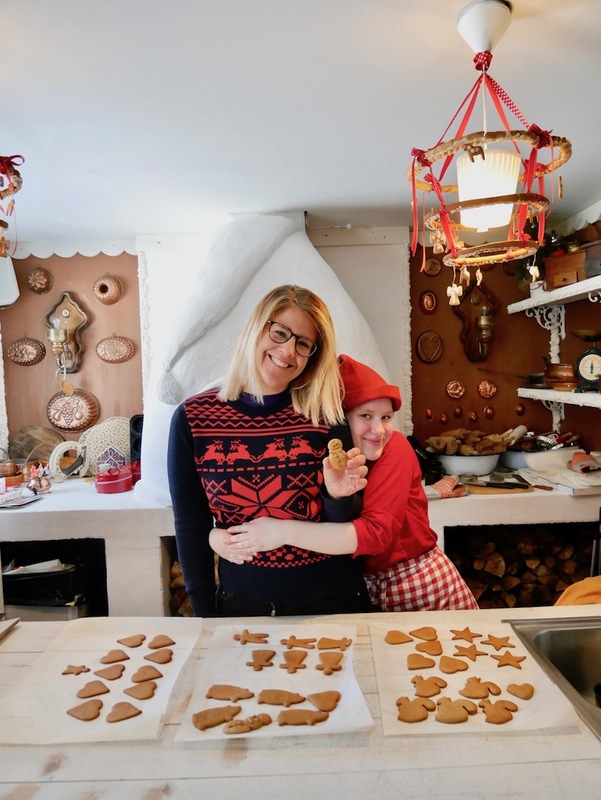 Elves Hideaway is especially good for those travelling with kids, as there are plenty of activities for them to try, such as baking with elves or taking a journey through the magical forest with an elfin guide. It was April while I was there but it felt so festive and magical I could have convinced myself it was Christmas! Adults are more likely to enjoy the traditional sauna experience on the banks of the river Ounasjoki, but whatever you do, you’ll leave having experienced unique Lappish culture in a stunning natural setting. 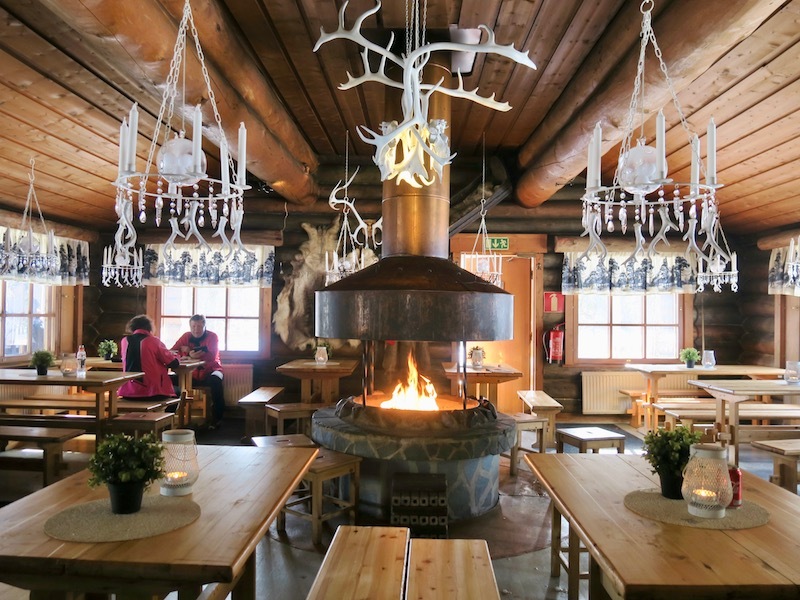 Just 15km from the resort of Levi is the Northern Lights Ranch, which offers accommodation as well as a stunning restaurant and activity centre. The best part about being a little way outside of the main town is that the air is unsullied by light, meaning the Northern Lights are much easier to see in the winter months. Stay in one of their Sky View Cabins, a cabin with a glass ceiling, for the best chance of seeing the Aurora dancing among the stars. 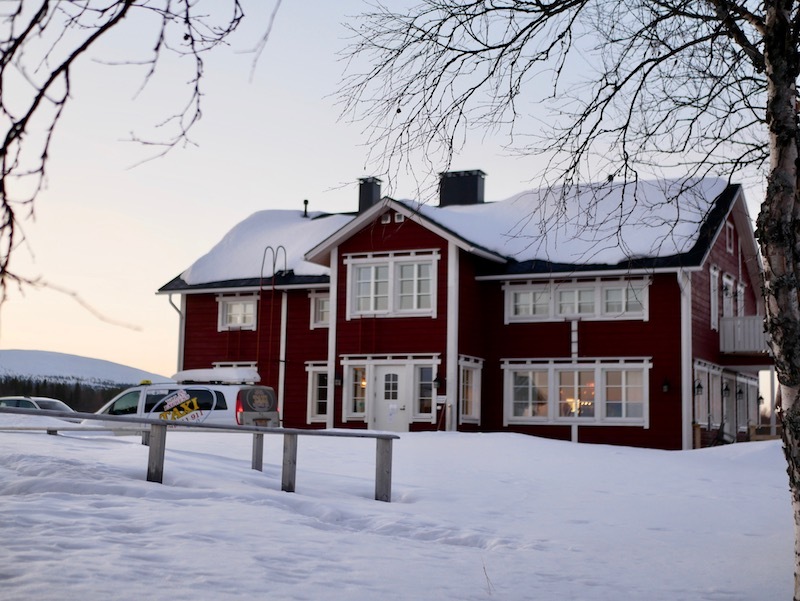 If you’d prefer to stay in town, Rinnelinna is an alpine style apartment in the heart of Levi. It includes a sauna, and a kitchen so you can self-cater if you’d rather not eat out for every meal. 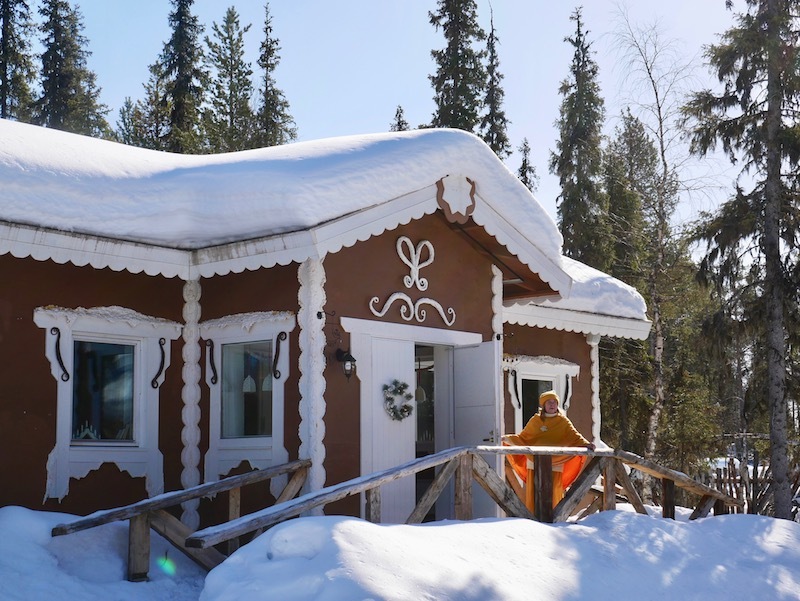 Ounaskievari reindeer farm, just seven kilometres from Levi town, has been operating for 20 years and offers a unique experience for visitors. 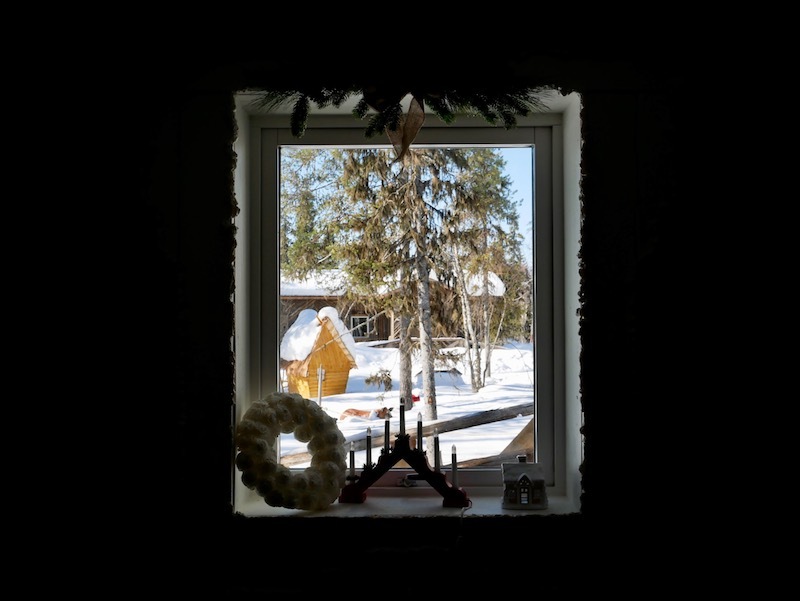 Before the roads we see today were built, the people of Lapland used to get around by reindeer, a mode of transport you can try for yourself here at Ounaskievari. Choose from a short ride (one hour), medium (two hours), or a long ride through the forest, which takes around three hours. Hot drinks are included, and for the longer rides, traditional snacks as well. This was so much fun and I giggled like a little girl for the entire ride. I don’t have any photos from the ride but you can see it on my Instagram stories from the trip. It’s worth watching to see this happy reindeer running, it was the funniest thing ever! Our next stop was ice-karting! You’ve probably been go-karting before, but have you been ice-karting? It’s the same idea, except instead of driving on a road or track, you’re driving on solid ice! The tyres are studded, which is how the karts stay on the icy track, and you can reach speeds of up to 60km/h! 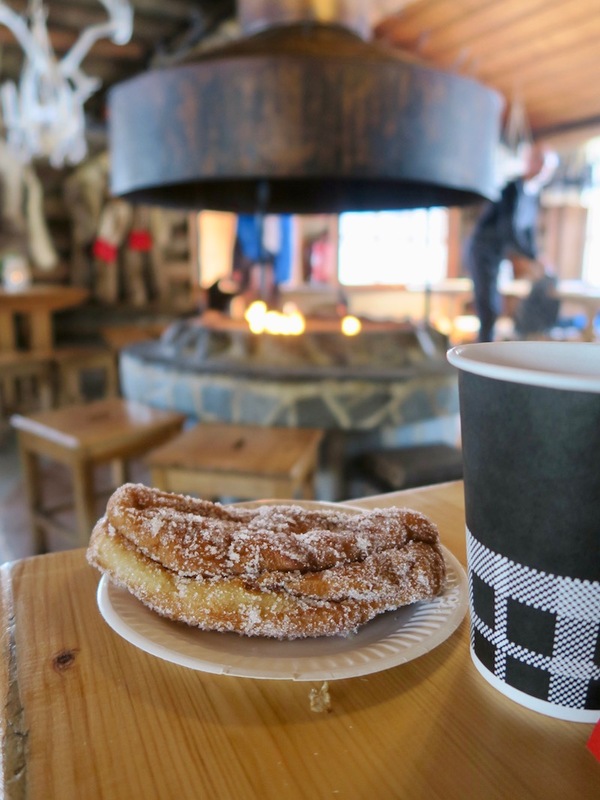 Before making your way back to Kittilä airport, have a gorgeous buffet lunch at Hotel Levi Panorama then enjoy a hot drink at the scenic Cafe Panorama Laavu, complete with a roaring open fire and views over the stunning winter scene below. This place was the most incredible little cafe and may take some searching to find it and you’ll probably need to ask some locals for some help but it’ll be well worth it. This tiny cafe has an open fire in the middle where a blackened kettle gently steams over the flames. 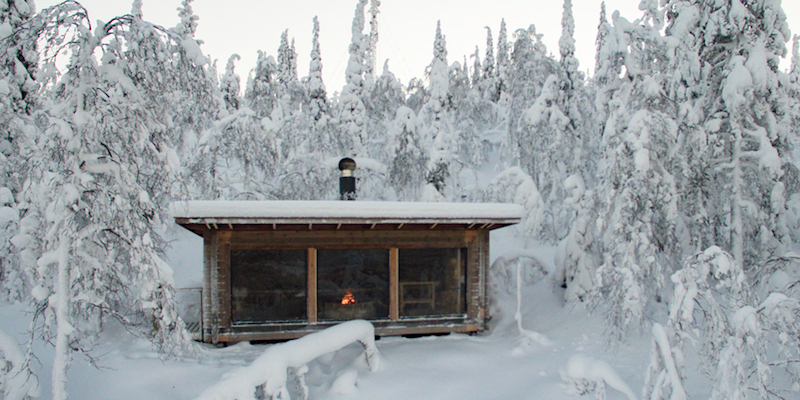 Tiny stools surround the fire and face the windows so you can look out over the snowy view. It’s beautiful! My short trip to Finnish Lapland was incredible. It’s got to be the most magical and beautiful winter wonderland I’ve ever been to. If you’re looking for a magical winter trip that is more than just skiing then I can’t recommend Finnish Lapland enough. I loved the way we did so much skiing but also incorporated a lot of other activities and saw lots of other places, so our trip didn’t just revolve around skiing. How utterly perfect, I’d love to visit Finland!